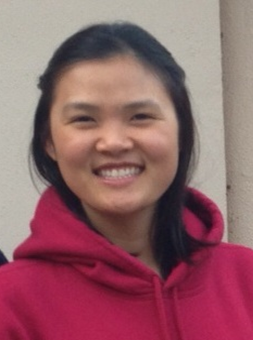 Truc Nguyen is a Postulant with the Daughters of Charity in Los Angeles. Truc shares her discernment story and the advice she has received. My sister invited me to a Come and See discernment retreat with a Vietnamese community. I thought I felt a calling. However, I also felt something was missing. I didn't understand what it was back then. I can name it now as belonging, a sense of home. I attended two more retreats with the same community and continued to have the same experience. A new friend invited me to a discernment retreat with the Daughters of Charity. I liked their charism, especially missionary service to the poor. I felt at home, but I still had doubts and fears. I had only been living in the United States for six years. I was concerned about my English language skills and the reality of cultural differences. I volunteered with another community almost every day. I felt a sense of home there, but my heart was not settled. I kept going back and forth in my mind, questioning which community I should enter or whether I should enter a community at all. A Sister told me, "Give yourself a chance and give God a chance." I followed her advice. I applied for Pre-Postulancy with the Daughters of Charity. The councillors, the vocation directresses and all the Sisters I have known and lived with have been great mentors. They have supported me in all stages of my discernment. Their gentle love supports me through whatever might hinder my "yes" to the Lord. Their daily lives are living examples of St. Vincent's and St. Louise's teachings of humility, simplicity, charity and serving the poor. It makes me madly in love with this life! I like to immerse myself in this ocean of love for days and nights. I would like others to experience this special love, and I often invite my friends to Come and See retreats. Some of my family members don't quite understand what this life is about, but they support me. They are happy when they see how much I have grown over the years and to see that I am happy. Postulancy is a blessing year. I am deepening my faith and my love for God and those I serve through the lives and teachings of our founders: "Be joyous, smiling in the service of the poor." I pray to them and ask for their intercession for my vocation. Also, working in community ministry gives me a better appreciation of how greatly I am blessed. I thank God for all his blessings. Conratulation and welcome to the Vincentian family. Thank you for saying YES to your vocation.